I was actually very interested in that knife sharpener. How do you think it'll fare with a buck knife? That really does sound like an awesome deal for $8.49. Now I'm seriously thinking about getting it. This knife holder seems very enticing. On the other hand, you've picked up a very compelling knife sharpener. Getting these 2 items was surely a great deal. Anyway, I think I should consider getting that magnetic knife holder to hold my knives including buck knife, cold steel knife and crooked knife. This is such a good collection of knives. 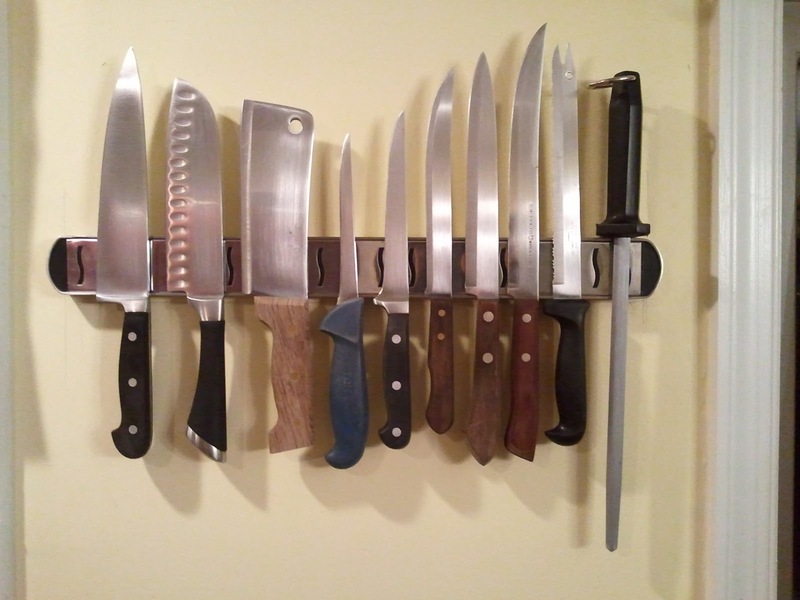 My wife has a collection of kitchen knives as well. For me, since I love going on camping and backpacking, I always have my survival knives with me including cold steel knife, buck knife and bear grylls survival knife. Anyway, my wife will surely love this knife holder.